LEAD, NICKEL AND CADMIUM FREE!!! Exclusively Ours! 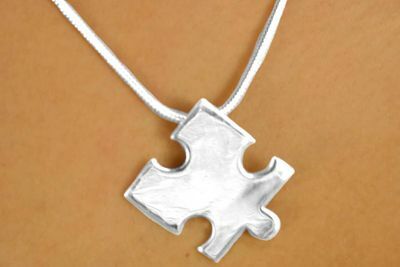 Lead, Nickel And Cadmium Free Silver Tone Puzzle Piece Hangs From A Rope Lobster Clasp Chain. Necklace Includes Matching Fishhook Wire Earrings. Perfect To Raise Funds For Autism Awareness & Research! 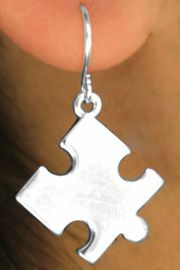 Earrings Measure 1 3/8"L x 7/8"W.
Scroll Down For A View Of Matching Earrings! See Bracelet W11879B & Ring W11881R Below!